Pannage season may be extended again Jump to media player Authorities in the New Forest may extend this year's pannage season for a second time, after a large number of animal deaths. Horses taken to the sea to cool down Jump to media player Horses and their riders take to the waves in Cornwall to cool down. 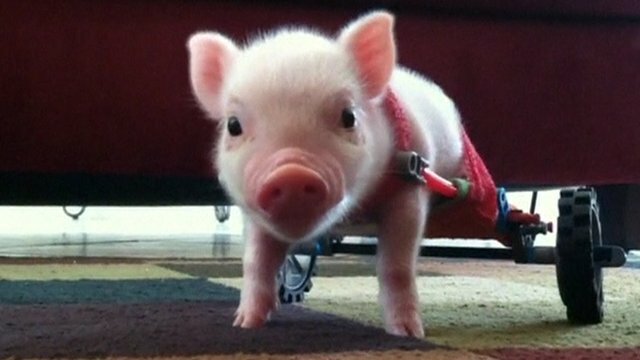 Disabled piglet gets tiny wheelchair Jump to media player A month-old piglet from Florida, born without the use of his back legs, is now sporting a custom-built wheelchair to get around. 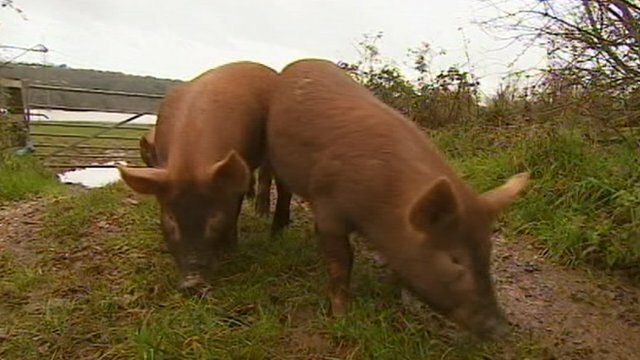 Farmer rescues pigs as pen floods Jump to media player A herd of pigs have been let loose in the village of Stoke Canon after a local farmer feared they would drown in their pen. 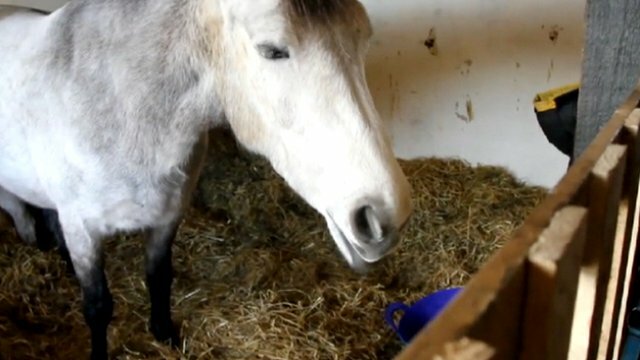 Horse moves into owner's home Jump to media player A woman living in the Western Isles claims she has been forced to move her horse into her house because of a dispute over shelter for the animal. Authorities in the New Forest may extend this year's pannage season for a second time, after a large number of animal deaths. 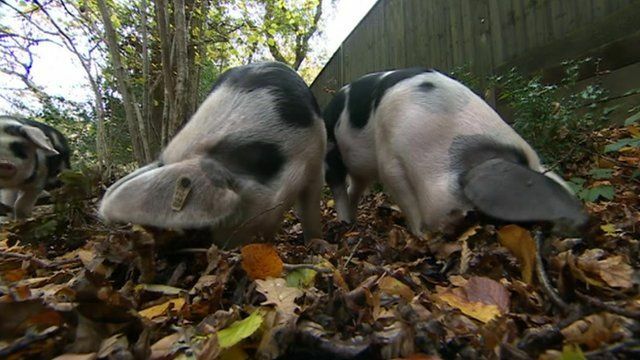 Pigs are historically sent out into the forest to eat and clear acorns, which are poisonous to ponies and cattle. This year's acorn crop brought on by the wet spring and warm summer is unusually big. The pannage season should last from 9 September to 7 November - it has already been extended once, until 15 December.